February began with me seeing the last few hurrahs of 2018. First was Stan & Ollie – an amusing biographical film of the legendary comedy duo, Laurel and Hardy. It’s one of the many films that wasn’t nominated for “Best Picture” despite being manifestly better than much of what the Academy chose. On that note, the next day I saw the final nominated film: Adam McKay’s Vice. It was billed as a biographical comedy-drama, but it was notably lacking in the comedy department (and at many points, the biographical department as well). Otherwise, its main problem is that, to an even greater extent than The Big Short, it was far too angry to make a coherent argument half the time, which probably explains why even critics who would normally have nothing but praise for such a product weren’t entirely sold on it. Also, I kind of think the success of The Big Short went to the director’s head given the insufferably pretentious stinger at the end. Feeling the need to watch a real comedy, I ended up seeing M*A*S*H later that day. Spawning such an emblematic show, it was great to watch the film that inspired it; it really encapsulates everything that made that era of comedy so great. After getting hit with some heavy snowfall, I proceeded to stay home and catch up on various critical darlings. The first I tried out was the indie horror hit The Babadook. Much like It Follows, I felt it to be a solid effort. It was a tad overhyped, but it’s very much in the Black Panther category of overhyped films in that it still managed to be good overall. I’ve remarked in the past that the 2010s has been a better decade for horror than sci-fi, and I’d say The Babadook proves my point. Later that week, I ended up seeing Wings of Desire. Cinephiles will tell you it’s one of the greatest films of the eighties, and I can confirm beyond any shadow of a doubt that they’re not exaggerating. Why is that? It’s an art film that stands out its peers with its surprisingly idealistic tone. Also, Nick Cave. Sadly, shortly after I watched it, leading man Bruno Ganz passed away from cancer. I wouldn’t learn of this until I saw his name appear on the “In Memoriam” portion of the Academy Awards ceremony. May he rest in peace. Taking cues from Mr. Wapojif once again, I ended up seeing Terrence Malick’s inaugural film, Badlands. Critics will tell you he made the most groundbreaking debut since Orson Welles’s own, and though I wouldn’t quite consider Badlands in the same league as Citizen Kane, it’s certainly a classic worth watching. Shortly thereafter, I watched another classic film from 1973: The Sting. It’s one of those films that will always keep you guessing. If you want to know what I mean by that, you’ll just have to see it for yourself because it’s difficult to discuss without spoiling it. Over the years through reading various internet comments, I have arrived at an inescapable conclusion: America is about wrestling. See? It says so right here! As a film about wrestling (ressling?) was getting good reviews, I decided to take the plunge by seeing Fighting with My Family, the Paige biopic. Speaking as someone who didn’t grow up with wrestling, I greatly enjoyed it. And with that, I have now officially seen at least one film from every year in this decade! Here’s hoping 2019 can keep up that momentum (and if it doesn’t, this comment will become funnier/sadder in hindsight). Finally, in preparation of the release of How to Train Your Dragon: The Hidden World, I took it upon myself to see the original and its sequel, which I somehow missed when they were released back in 2010 and 2014. The first one was really good. I’ll probably have a better idea of where I stand once I’ve seen the entire trilogy, but I can safely recommend it if you haven’t seen it already. I get the feeling many people discovered Matt Thorson for the first time through his runaway success, Celeste. Therefore, it’s interesting getting to talk about Jumper because it’s one of the few cases (possibly the only one) in which I knew of a creator before they made it big. Indeed, Jumper was one of my first real exposures to indie gaming, and it was arguably the one that sold me on the scene. The scene lost me in the late 2000s/early 2010s when the “indie ego” got out of control as evidenced by Jonathan Blow and Phil Fish being big names at the time, but I feel it ultimately regained its composure once developers buckled down and focused on the games themselves, which I feel was the result of following Mr. Thorson’s example than those of Mr. Blow or Mr. Fish. 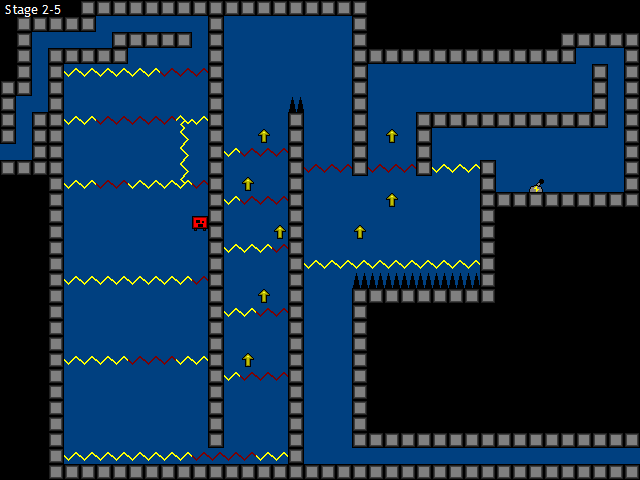 Anyway, Jumper is about a pure of a platformer as you get, and it’s good for what it is. Mr. Thorson’s skill as a creator was evident as early as his first real effort, and it was interesting getting to see him evolve over the years. 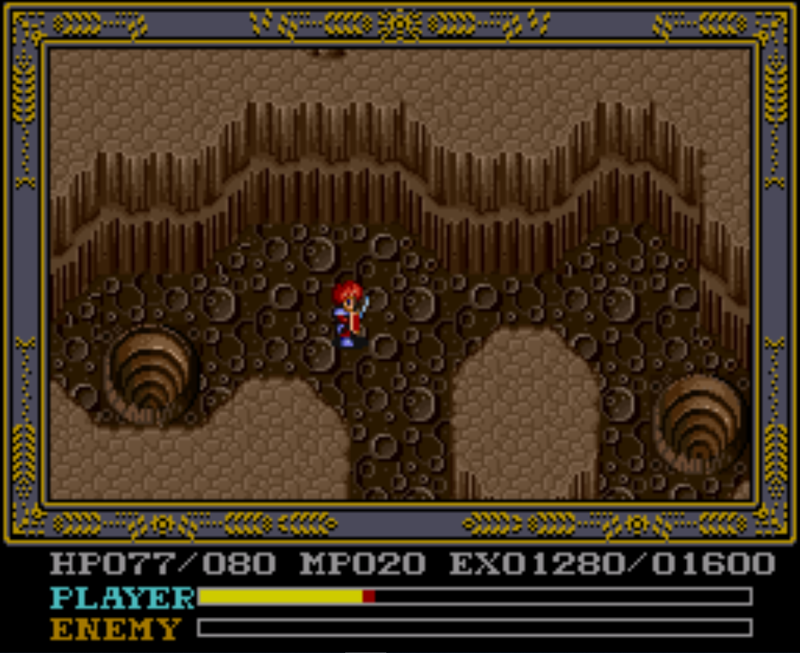 Mask of the Sun reminds me of Snake’s Revenge in that it’s an outsourced sequel to a popular game. Unfortunately, it’s also like Snake’s Revenge in that it, to its detriment, adhered to the template of its predecessor and wasn’t willing to deviate or experiment in any way. Although I can understand wanting to return to the gameplay of the Ancient Ys Vanished duology, it still comes across as an unambitious token sequel. Although I think that, in this case, the safe sequel was superior to the botched experiment that was Ys III, it wasn’t enough for me to give it an additional point. The story beats are good, but the bump attack gameplay was really starting to show its age by this point – especially in the wake of A Link to the Past – and the backtracking is more irritating than ever. All in all, not a bad game per se, but a tough recommendation any way you slice it. In case you’re wondering, yes, I did indeed learn of Zombie Nation through Noah Antwiler (a.k.a. The Spoony One) when he made a video about it 12 years ago. It’s a shame about his mental breakdown, for I greatly enjoyed his content back in his glory days. Therefore, I deemed it appropriate revisit this one – well, that and I faced unexpected difficulties getting my Marvel’s Spider-Man review done and needed a quick game to tear into. Anyway, if Zombie Nation was as good as it was strange, it would be among the greatest games ever made. Unfortunately, it settles for being merely strange. The novelty of the absurd premise wears thin within seconds of playing it when you realize you’re in for a subpar shoot ‘em up that brings nothing new to the table aside from having an actual life meter. Hey, I finally reviewed a game made in 2018! About time, huh? Also, I finally reviewed a good game this year! Double whammy! And it’s my fourth review to exceed 10,000 words! Triple play! 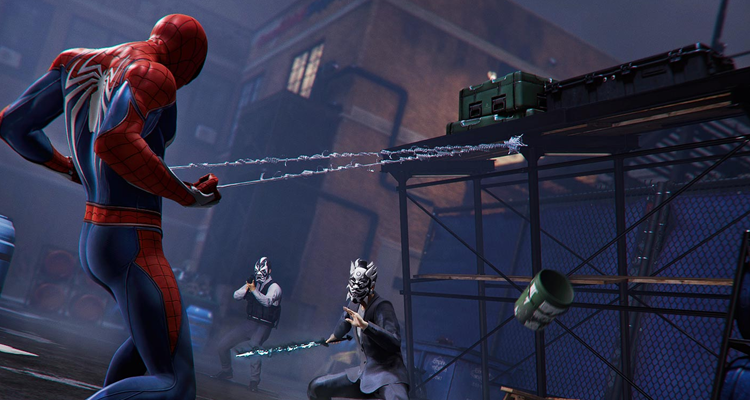 Anyway, after speaking my piece about what kind of year 2018 was for films on numerous occasions, I have to say that Marvel’s Spider-Man by itself proves that 2018 was a much better year for video games. Its unapologetic idealism in the face of adversity is inspiring and it ended up being a great tribute to the memories of Steve Ditko and Stan Lee, who both shuffled off this mortal coil in 2018. 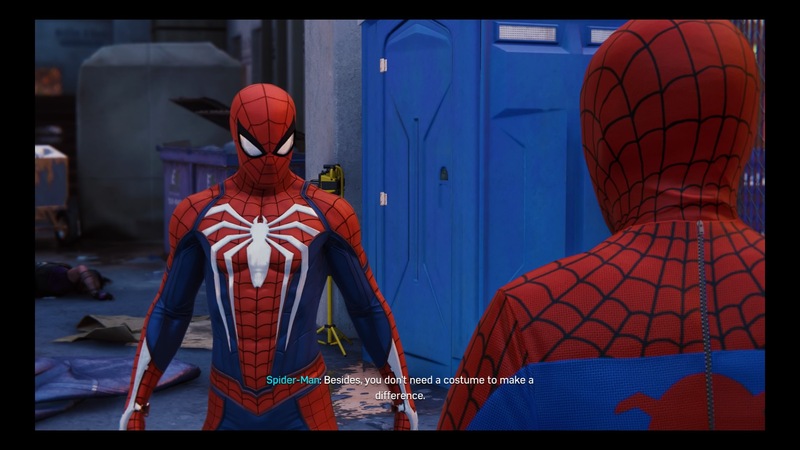 I have to admit I’ve never played the video game adaptation of Spider-Man 2, but I can safely say Marvel’s Spider-Man ranks as one of the best superhero games out there. Don’t let the relatively modest Metacritic scores lead you astray; this is a very well-written game with little filler to speak of – a rarity among AAA productions at the time. Nope, I wasn’t going to delay this review again. I just simply wrote it around the same time I typed up my piece on Marvel’s Spider-Man. If any of you were curious about the sudden dearth in content, this would be the reason why. 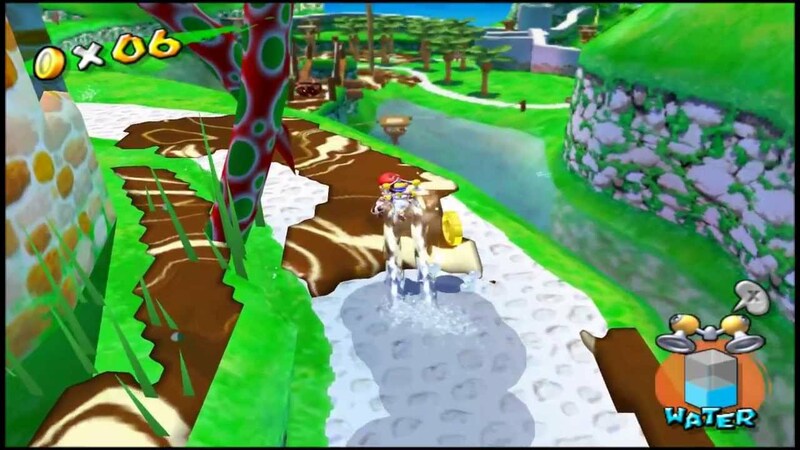 In a lot of ways, Super Mario Sunshine also reminds me a lot of Skyward Sword in that the reason it ended up on the tier it did wasn’t for a lack of trying on the developers’ part. Instead, it was more because when considering the experience as a whole, there are a lot appallingly bad design choices (losing a life when failing a challenge, Yoshi’s implementation, the final area, etc.) intertwined with a lot of brilliant ideas (F.L.U.D.D., the general level design, etc). Unfortunately in their attempts to introduce diversity to the gameplay, there are a ton of small, unique mistakes littered throughout the experience, making the quality inconsistent (to say the least). Nonetheless, I can see somebody having a great time with this game, and it is a decent effort overall. The Best (and the Rest) of Windows Entertainment Pack (Part 1, Part 2, and Part 3) – As someone who had a computer with a Windows 3.1 operating system, AK’s articles on the Microsoft Entertainment Pack were a nice trip down memory lane. Also JezzBall is indeed one of the most nerve-wracking games out there – right up there with “Bowser’s Big Blast” form Mario Party 2. To Craft or Not to Craft? – The crafting system, much like quick-time events, are one of those things that got copied endlessly once it caught on. I don’t think they’re nearly as bad as quick-time events, though I can understand why others are sick of them, and I know how tedious they can get. Reading Cary’s take on them across many different games from The Last of Us to Breath of the Wild was fascinating. Golden Sun – If there are two reasons why I don’t think Mother 3 is the premier Game Boy Advance JRPG, it’s because of Golden Sun and its sequel. A lot of people dismiss them as style-over-substance affairs, but there is so much more to them than how great they look. Matt of Nintendobound realizes this, and his review of the first Golden Sun made for an excellent read. Ah!! The Belated Resident Evil Memories… – With the recent release of the Resident Evil 2 remake, it was great reading Lightning Ellen’s quick retrospective on the series. My conclusion is that the series is kind of all over the place, though I at least know Resident Evil 4 is a solid experience. An Ode to Video Game Music – Anyone who insists music is getting worse clearly hasn’t played a video game in the last twenty years because the medium has always had an abundance of great tracks. Mr. Wapojif highlights how the use of music has evolved over the years in this well-thought-out article. Doing the Bad Ending Well – Anyone who has followed me long enough knows I am extremely tough on works work with weak endings. I have to agree with Aether in that the downer ending in particular is something I’ve been disappointed in more often than not. In video games in particular, it comes across as the developer programming a non-standard game over and somehow forgetting to write the proper ending. Nonetheless, he made a compelling case for one game in particular |(Red Dead Redemption)| pulling it off well. If you have played the game in question, check out the article and see what he has to say. All about video game controllers – One of the most interesting things about gaming concerns the controllers that come with each console. Even after the sixth console generation largely standardized the controller design they make for a good conversation piece. Christon takes a look at many different designs these controllers have had across generations. Red Dead Redemption 2 Review – Scott over at the Wizard Dojo talks about Red Dead Redemption 2, the game that set the gaming world on fire in 2018. Even from what little of it I’ve played, I can certainly say its presentation is top-notch, and the ambition speaks for itself. One Strike Review – There are quite a few fighting games in which characters take realistic damage. thedeviot takes a look at one such game where, rather than wearing your opponent down gradually, the object of the game is to land that decisive first strike. Top 5…70’s Films – A lot of cinephiles will tell you that the seventies was the best decade in film. Though I’m not sure which one I would choose, I can confirm that it was indeed a great decade for the medium between things like M*A*S*H, The Sting, and Apocalypse Now. Matt Doyle takes a look at five of his favorite films from that decade, and his list made for a great read. The Crash Comeback: Part 3 – pine717 of The Maximum Utmost took a retrospective look at Naughty Dog’s Crash Bandicoot trilogy via their N. Sane remakes on the PS4. Having not played those games, it was interesting reading the perspective of someone who did and is now looking back on them with the various ways in which the medium has improved since their original releases. On the day this update is scheduled to post, I will see How to Train Your Dragon: The Hidden World. You can expect a review of the entire trilogy some time this next month along with my takes on The Sting and Fighting with My Family. At some point, I may end up posting a list of my top ten favorite films from 2018, though there are a few I want to check out before finalizing it. As for gaming, I now have a review of Jumper Two ready to be posted tomorrow. The original was a good effort for its time, and the sequel was actually released in the same year. After that, I’ll continue this string of Ys reviews by talking about Ys V, which was originally released on the Super Famicom. We’ll get to see what Nihon Falcom managed to do upon getting their franchise back. Once that is taken care of, I intend to review Super Mario Galaxy and its sequel. I may take the time to talk about a shorter game in between those two reviews or I may end up talking about King’s Quest IV; I haven’t quite decided yet. Hey, thanks for the mention. Replaying all those Windows games on VirtualBox brought back some memories. I’m sorry to hear Bruno Ganz died. I saw him in Downfall, where he gave a great performance. From what I remember of seeing it years ago, he presented a complex picture of Hitler, not as a monster or as a goofy parody but as a man twisted by evil and deeply flawed logic. I should check out more of his films. I was also a fan of Sponny for a long time. It’s too bad about what happened to him. I won’t be Dr. Armchair Psychologist here but if he’s having some issues, I hope he gets them sorted out for his own sake. Yeah, reading those posts brought back a lot of memories for me too. 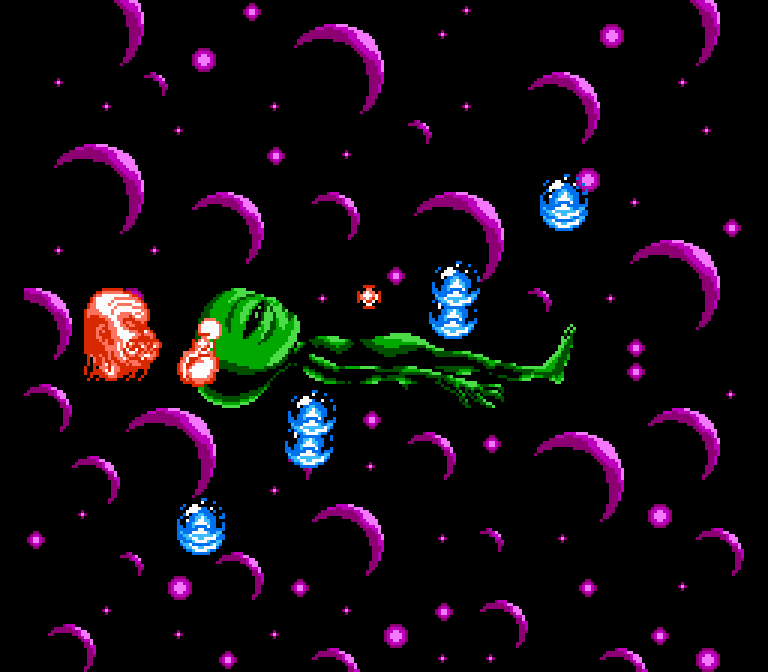 I don’t think I really even understood how to play those games; I think I just clicked randomly to see what happened. It’s a shame, isn’t it? The crazy thing is that he was alive when I watched Wings of Desire (I checked his Wikipedia page shortly after watching it), so when I saw his name appear on the “In Memoriam” section, I was shocked. I have a copy of Downfall lying around, and I will set aside the time to watch that because it does sound interesting. I highly recommend Wings of Desire if you haven’t already; that’s another one of his best roles. Ah, I’m glad I’m not the only one around here who used to watch him. I actually discovered him very shortly after he began in 2007 and before he joined TGWTG. His video series on Phantasmagoria 2 still ranks as one of my all-time favorite Let’s Plays. I’m not the one to be an armchair psychologist myself, but he really needs to seek help. Thanks a lot for the mention and I am glad you liked my Golden Sun review. I am looking forward to what you will have to say about Super Mario Galaxy. It was indeed great! I will likely review it in the future myself, though probably after I have a little less on my plate. All I’ll say about Galaxy now is that it is way better than Sunshine. It sure if better than Sunshine. I will also be looking forward to what you have to say about Golden Sun and its sequel. Thanks for the shout out! Been considering checking out Fighting With My Family being a lifelong fan of Pro Wrestling. You’re welcome! And if you’re a wrestling fan, you should totally check out Fighting with My Family; it was a fascinating film. Also, Nick Frost is in it. Woot! Congrats on full alphabet video game review completion… or something worded like that 🙂 Thank you very much for the shout-out. I appreciate it! By the way, did you end up picking up the Resident Evil 2 remake? You’re welcome! I look forward to talking about Super Mario Galaxy this next month. Good to hear, I’ve started playing galaxy just recently so look forward to your thoughts!